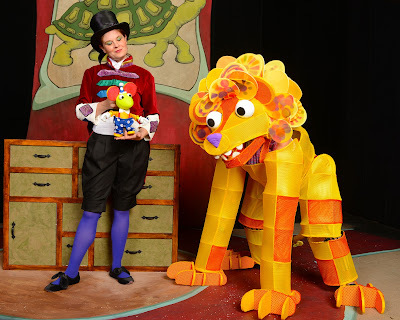 "No Act of Kindness is Ever Wasted"
The Tortoise, the Hare and other Aesop’s Fables at the Center for Puppetry Arts is an interactive take on classic fables and poems that will delight audiences of all ages. Aesop's Fables or the Aesopica is a collection of fables credited to Aesop, a slave and story-teller believed to have lived in ancient Greece between 620 and 560 BC. Aesop's Fables is a wonderful way to illustrate a particular moral and teach a lesson to children and kids. They also foster the love of reading, increase vocabulary and teach them the difference between right and wrong. The characters of fables and tales are usually animals who act and talk just like people whilst retaining their animal traits. This theme is especially appealing to children and kids. Children love fables because most of them feature animals as the main characters. The Tortoise, The Hare, and Other Aesop’s Fables at the Center for Puppetry Arts presents five timeless tales of Aesopian wisdom in a fresh, invigorating new format to engage and educate children ages two through six. The show is visually stunning on every level. The lighting, costumes, the whimsical set, and the puppets are superb. The string lights hanging on the ceiling give the audience the impression as being inside a real circus tent. 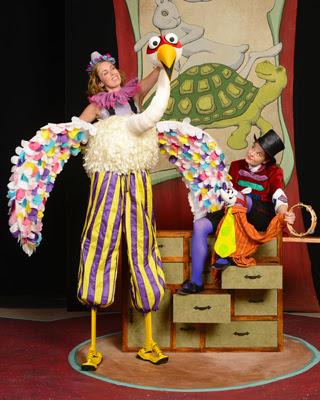 Personally, we have seen almost every show at the center and Aesop's fables is one of the best show we have seen. The show is designed so that the little ones bounce, clap and sing along. 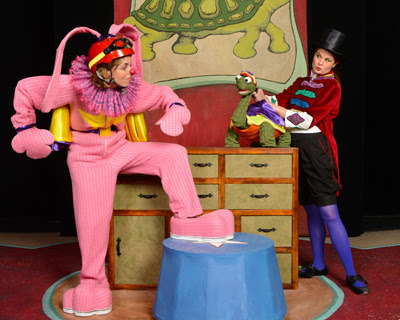 Designed to appeal to the unique developmental process of preschoolers, the production employs lively music composed by Dolph Amick, bright colors, and minimal, simple dialogue. The extremely visual and playful performance is brought to life using circus-like skills by puppeteers Alison Murphy and Amy Strickland. • Thursday – Friday: 10:00 a.m. and 11:30 a.m.• Saturday: 11:00 a.m., 1:00 p.m. and 3:00 p.m.• Sunday: 1:00 p.m. and 3:00 p.m.